Campbell, Lyle. (1997). American Indian languages: The historical linguistics of Native America. New York: Oxford University Press. আইএসবিএন ০-১৯-৫০৯৪২৭-১. Cannon, Garland H. (1964). Oriental Jones: A biography of Sir William Jones, 1746–1794. Bombay: Asia Pub. House Indian Council for Cultural Relations. Cannon, Garland H. (1979). Sir William Jones: A bibliography of primary and secondary sources. Amsterdam: Benjamins. আইএসবিএন ৯০-২৭২-০৯৯৮-৭. Cannon, Garland H.; & Brine, Kevin. (1995). Objects of enquiry: Life, contributions and influence of Sir William Jones. New York: New York University Press. আইএসবিএন ০-৮১৪৭-১৫১৭-৬. Franklin, Michael J. (1995). Sir William Jones. Cardiff: University of Wales Press. আইএসবিএন ০-৭০৮৩-১২৯৫-০. Jones, William, Sir. (1970). The letters of Sir William Jones. Cannon, Garland H. (Ed.). Oxford: Clarendon Press. আইএসবিএন ০-১৯-৮১২৪০৪-X. Mukherjee, S. N. (1968). 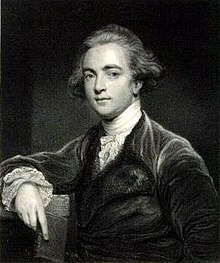 Sir William Jones: A study in eighteenth-century British attitudes to India. London, Cambridge University Press. আইএসবিএন ০-৫২১-০৫৭৭৭-৯. Poser, William J. and Lyle Campbell (1992). Indo-european practice and historical methodology, Proceedings of the Eighteenth Annual Meeting of the Berkeley Linguistics Society, pp. 214–236. Caissa or The Game at Chess; a Poem.